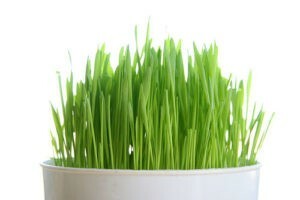 When growing wheatgrass, you must pre-sprout the grains before planting. Put grains into jar and soak. Make sure there is more than enough water as the grains will absorb it. Depending on climate and temperature, small roots should appear in 2-3 days. Prepare the tray with soil at approximately 1inch deep and pat down well, making sure the soil is damp. Gently spread the seed evenly over the soil trying to make sure that it is only a single layer. Trays can be kept inside or outside. Wheat grass prefers filtered sunlight to almost full sun. A spot near a window is a good position as natural sunlight is best. Water at least once a day using a light to medium spray, ensuring that the soil is always moist and that the water is getting down to the soil and roots. The wheatgrass is ready for harvest when it is about 6 inches or more tall. Mould growth is very common when growing wheatgrass. Because the shoots are grown very close together the moist conditions at the base of the shoots are the perfect environment for mould to grow, especially in the warmer times of the year. 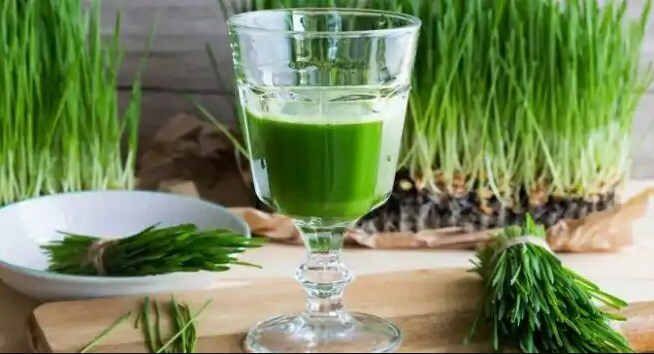 As annoying as it may be, mould that grows on wheatgrass has been found to be harmless to humans and when you are ready to juice you can cut above the affected areas and make sure you rinse the grass before juicing.